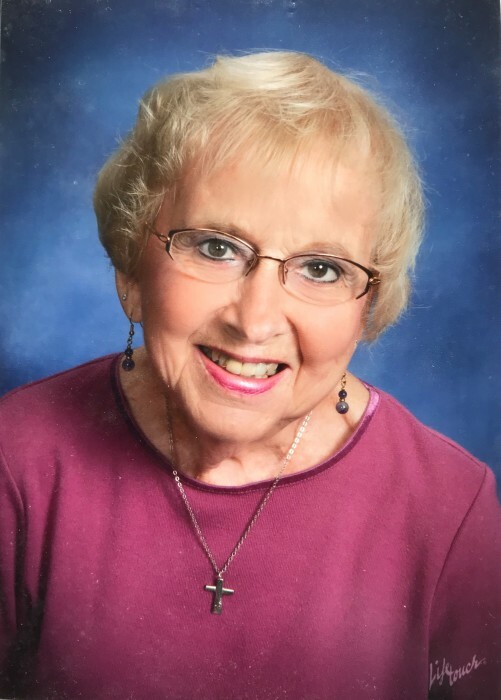 Vivian H. Knutson, 89, of Detroit Lakes, MN and Mesa, AZ passed away on Dec. 3rd, 2018 at the Emmanuel Nursing Home in Detroit Lakes. Vivian was born in St. Cloud, MN to Adolf and Emma (Johnson) Leseman. She was raised in Pine River and graduated from Pine River High School in 1947. In June of that same year, she married her sweetheart Robert (Bob) Knutson at the First Lutheran Church in Pine River, MN. He was a WW2 Navy Veteran who, among other things, bravely fought in the battle of Leyte Gulf. They were married for 65 years until his death in 2012. Vivian was an employee of Northwestern Bell Telephone Co in Detroit Lakes as well as in Bismark, ND where she and Bob resided from 1971 to 1993, when they moved back to Detroit Lakes. She enjoyed her work at the telephone company and had many lifelong friends from those years. She retired in 1987, at which time she and Bob began spending their winters in Mesa, AZ at Silveridge, a retirement community they loved, and returned each summer to Detroit Lakes to be close to family and dear friends from their early years there. After Bob passed away, she moved to Mesa full time from 2013 - 2016. She was a great cook and enjoyed entertaining, and loved meeting new people. Sewing was another pastime pleasure of hers. Her true love was dancing, which she never tired of - from ball room to line dancing - she did it well.